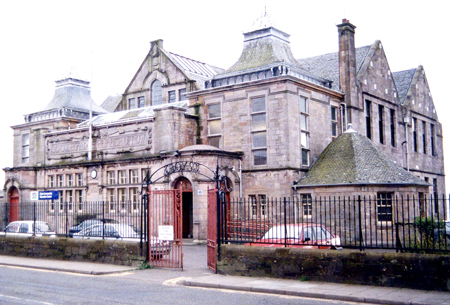 THE former Clyde Community Education Centre on East Clyde Street is to be put on the market by Argyll and Bute Council in the hope that it can be part of the regeneration of Helensburgh town centre and waterfront. This is one of several options being considered by the council, which currently owns the listed building and which has left it to deteriorate markedly for several years. The council says that it will be looking for offers which will ensure that the former primary school is brought back into use. Councillor James Robb, chairman of the council’s Helensburgh and Lomond area committee, said, “The council has been looking at options for improving services to the public in Helensburgh and Lomond, and one of these is the construction of a new building in the town centre, which will bring together public services and community facilities under one roof. “As a part of this process, we have been reviewing the condition and possible uses for our existing properties. We have already received enquiries about the Clyde Street building from both the community and private developers and so have decided to put the building on the market. “All councillors are conscious of the strength of local feeling on the former CE Centre and the desire for it to again contribute positively to the town. The council will be marketing the building between September and November, after which it will decide on which option members think best fits in with future plans for improvements in the town. 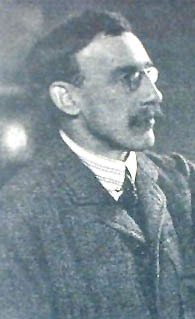 Clyde Street School was built in 1903 to the design of Alexander Nisbet Paterson (left) in a Scottish Revival style with 17th century Renaissance details. It has bell-cast roofs, mullioned and transomed windows, varied fenestration including a Venetian window, base and string courses, cornice, gabled bays and coped skews. The interior has a fine hammerbeam roof, and in the centre is the Glasgow-style galleried hall surrounded by arcaded doorways to classrooms on the ground and first floor. The two lodges are of different designs, the East Lodge at 46 East Clyde Street is a one-storey asymmetrical building, while the West Lodge at 38 East Clyde Street is a two-storey asymmetrical building in Scots Baronial design including a bell-capped tower. 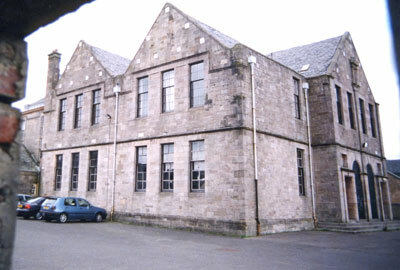 After it ceased to be required as a school, it became the Clyde Community Education Centre run by the local authority, and then by a local management committee. The council closed the building some years ago when the cost of repairs necessary because of dry rot and general neglect became too much, and it has been mothballed and steadily deteriorating ever since. Centre photos copyright Donald Fullarton.